It’s predicted that Los Angeles will have aerial ride-sharing as early as 2023. Recently, a look into this future of transportation technology was given by Boeing’s autonomous passenger air vehicle (PAV) prototype when it completed a controlled takeoff, hover and landing during it’s first ever test flight. The all-electric autonomous vehicle has a range of up to 50 miles and represents a major milestone in Boeing’s storied history of innovating the skies. 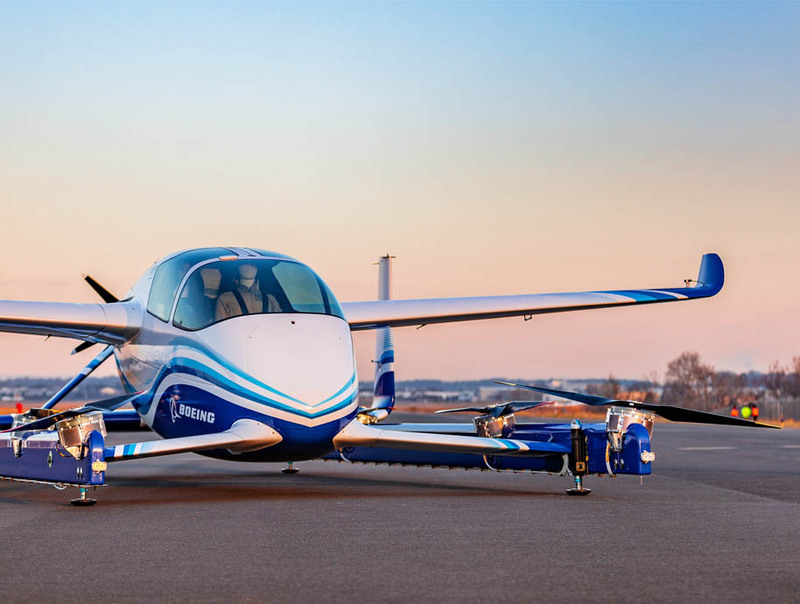 Boeing NeXt, which leads the company’s urban air mobility efforts, worked with Boeing subsidiary Aurora Flight Sciences to design and develop the electric vertical takeoff and landing (eVTOL) aircraft. Tuesday’s test verified the vehicle’s autonomous functions and ground control systems. Future flights will test forward, wing-borne flight, as well as the transition phase between vertical and forward-flight modes. This transition phase is typically the most significant engineering challenge for any high-speed VTOL aircraft, according to the Boeing statement.